How do I customize documents in Clerky? 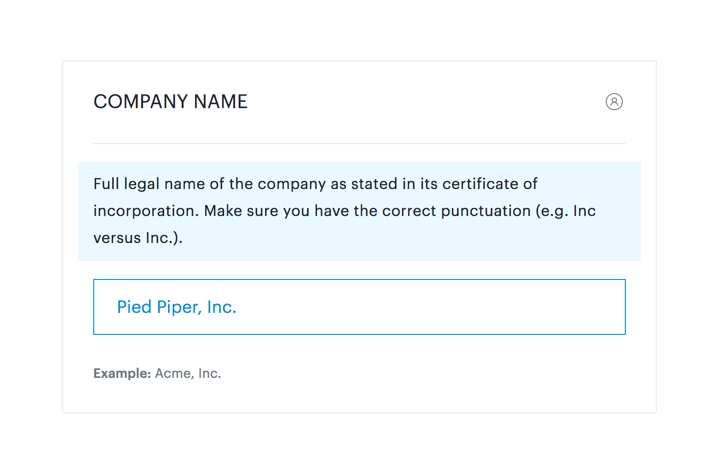 You can easily customize the main terms for any document set by entering information in Fields. Our software includes instructions and examples for Fields whenever necessary. 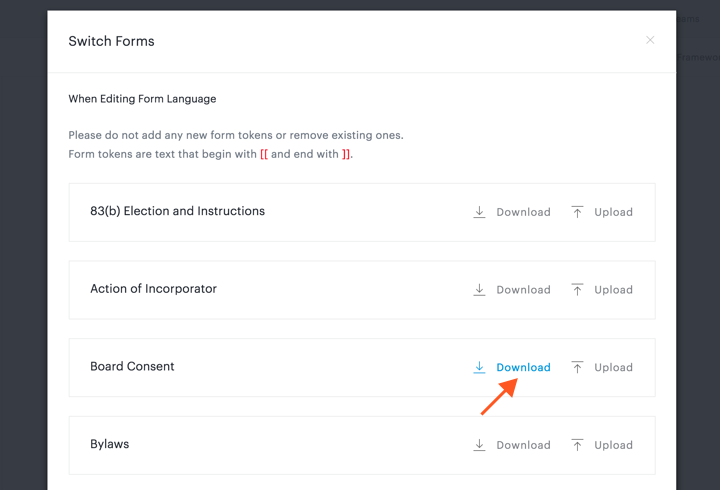 If you need to go beyond the main terms, you can use the Switch Forms feature to customize the underlying forms. Using this feature requires the assistance of an attorney. Please be sure to only use the Switch Forms feature with the assistance of an attorney, in order to ensure that your customizations are appropriate for your circumstances and do not create any unintended side effects. 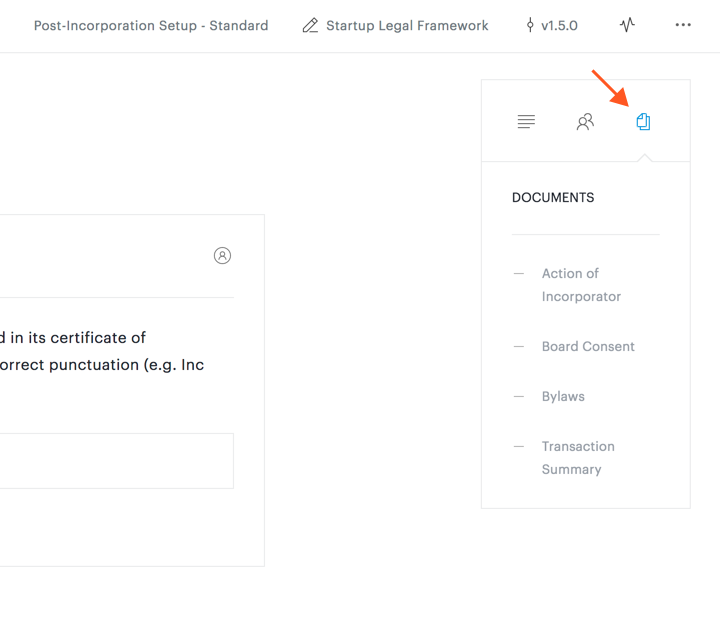 Once you've started a document set, access the Documents tab of the summary panel on the right side of the workflow. 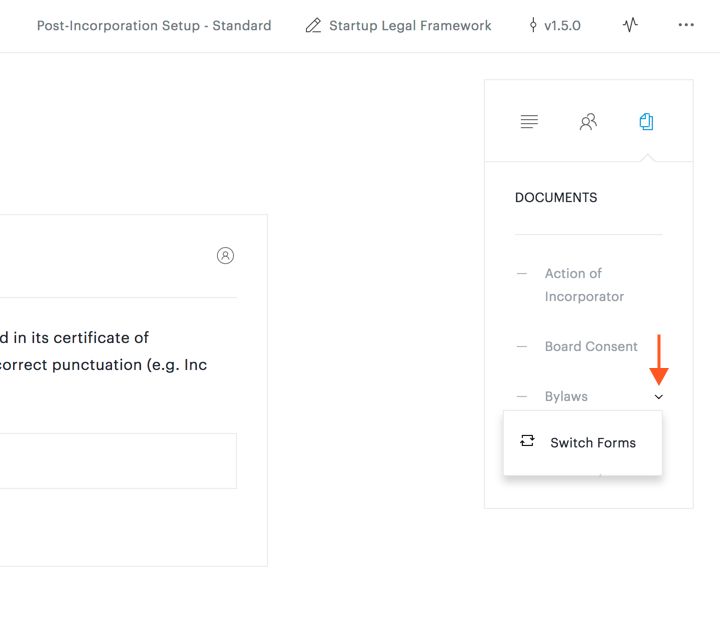 From the Documents menu, hover over the form you want to modify and click the downward caret. Then, click Switch Forms to open the Switch Forms dialog. From the Switch Forms dialog, download the form you want to modify. Make your modifications to the form. Please do not add any new form tokens or remove existing ones. 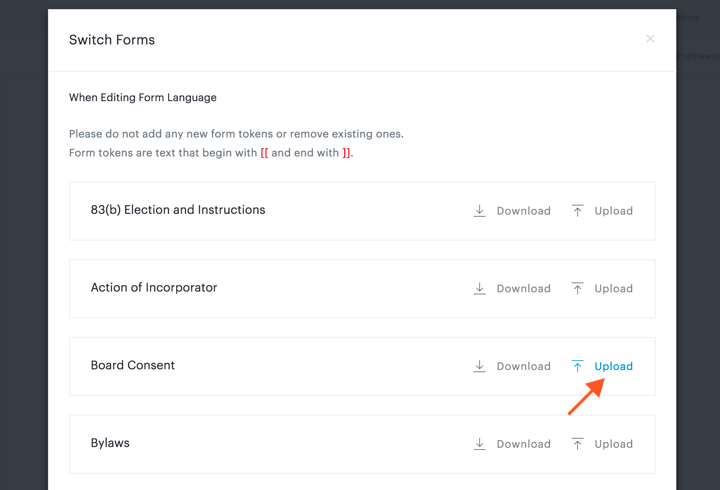 Form tokens are text that begin with [[ and end with ]]. Once you're done, save the document to your computer. Make sure you turn off Track Changes feature (if applicable). 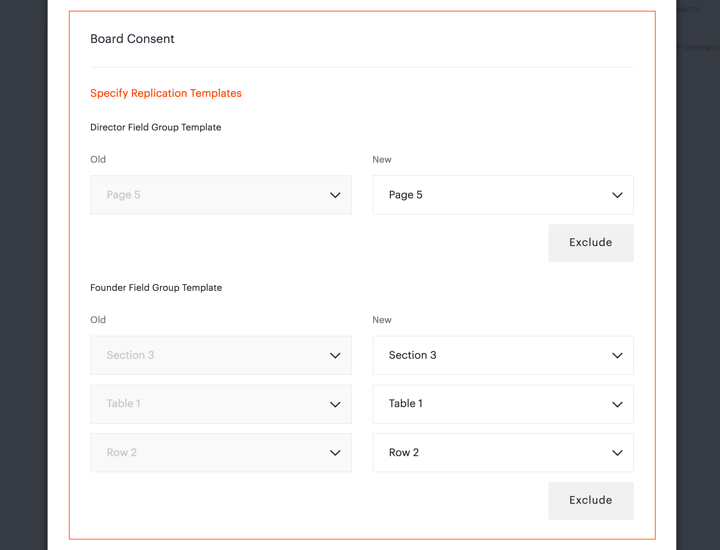 If you moved any form tokens to different pages, tables, or sections, you may also need to update the replication templates. If any replication templates are no longer applicable due to the changes you've made to the form (this is uncommon), you can exclude them. If you are unsure whether you should exclude a replication template or not, please feel free to contact us for guidance. Go to the bottom of the Switch Forms dialog and click Confirm. Go through the workflow as usual and enter any necessary information. 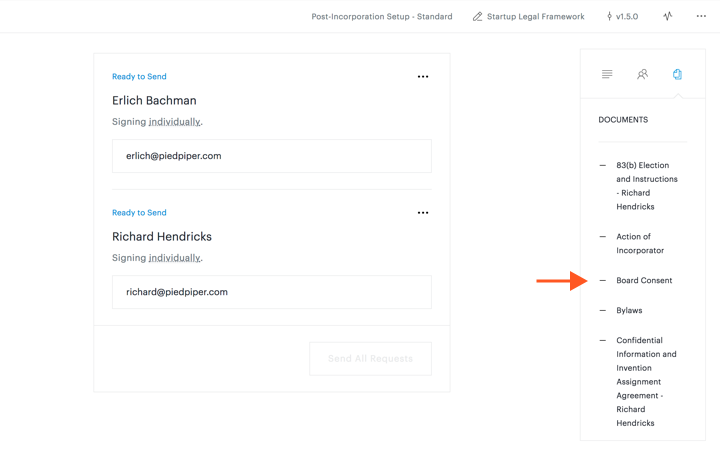 Before you send out signature requests, you can make sure you properly switched forms by clicking the document's name on the right side of the workflow. Your browser will download the document, which you can then open and review.